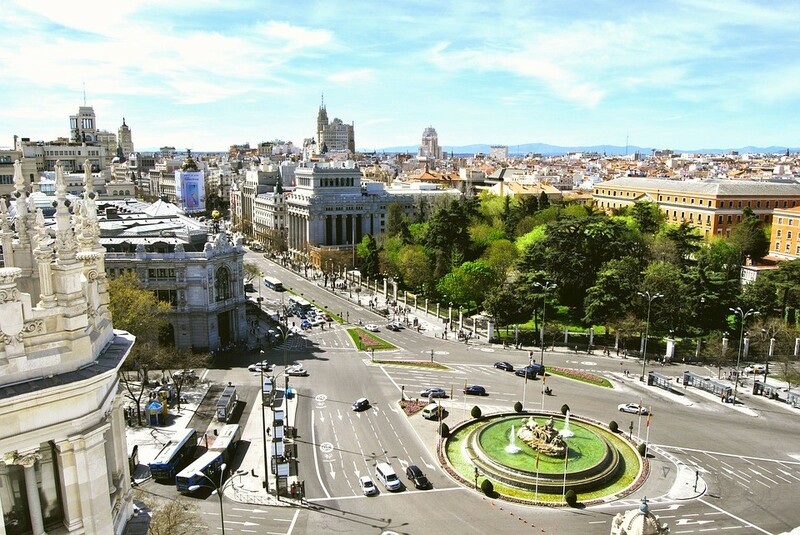 The Gran Vía, together with the Paseo de la Castellana, is Madrid's most famous street. Starting from the Plaza de Alcalá square and leading across the city to the Plaza de España, the street contains hundreds of businesses: shops, stores, hotels, banks, restaurants, bars, cinemas and theatres, making it perhaps one of the most important commercial districts in the city. 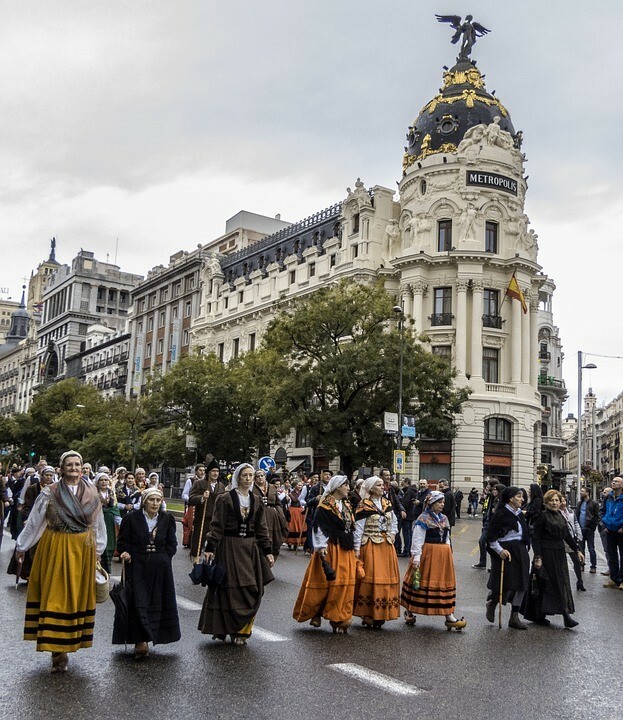 The street runs from Alcalá to Plaza España and you can see several famous bulding as you walk, including the French-inspired Edificio Metrópolis, the Hotel de las Letras, the Telefónica building, Palacio de la Música, and Palacio de la Prensa. 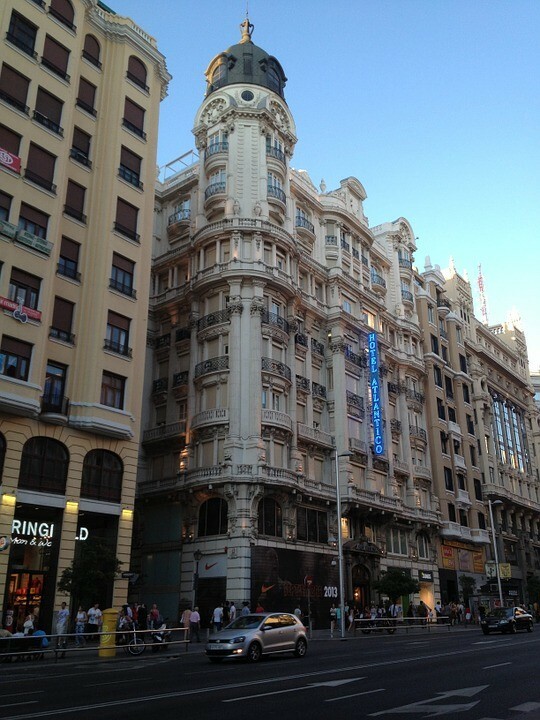 There are also many cinemas and theatres, which have earned the last stretch of the street the nickname Broadway madrileño (Madrid's Broadway).